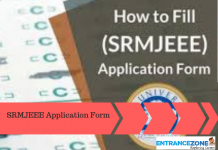 How to fill SRMJEEE 2019 Application Form: SRMJEEE 2019 is an engineering entrance test conducted for admission to various Engineering Courses at Undergraduate Level in SRM University. Application Form for SRMJEEE 2019 is available for candidates from 1 November 2018. Application Form for International Students also available on the Official Website. Candidates can fill the Application form in offline or online mode. 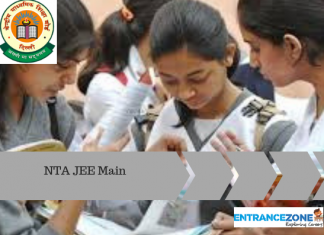 Candidate can see the details regarding SRMJEEE 2019 Application Form in the article below. How to fill Offline SRMJEEE 2019 Application Form? Candidates should use a black ballpoint pen to fill all the details in capital letters. They will have to submit the form along with an attached photograph and application fee submission. Note: Only the Aspirants paying the fees offline will have to download the application form, and send it along with demand draft the prescribed address. Firstly, candidates can fill the SRMJEEE 2019 Application Form online by visiting the official website of SRM University. Candidates will have to then register for an account on SRM University Website. So, students will have to enter the: Name, Email-ID, Date of Birth, Phone Number. Candidate will then receive the Registration User ID and Password. Candidate can log in again using the Username and Password. 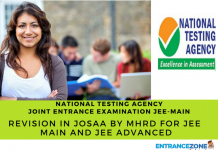 Admit Card will also be sent to the same Account thus should be preserved carefully. Preferred Centre for Examination, etc. Applicants are advised to fill the details carefully as any discrepancy might result in their rejection. Candidates will have to then sign a declaration. Also, candidates should read everything carefully and click on “I agree”. Once the details have been entered successfully, Candidates will have to upload their photograph and signature. Candidates can see the required size of the photographs on the online portal and upload accordingly. Candidates will then have to pay the fees. They can do so in online mode. For online mode, they can use net banking or debit card. But, for offline mode, Demand Drafts will be acceptable. On what basis do they give the particular campus? Do we have to select the campus on the time of filling the form?